The Russian Federal Space Agency, or “Roscosmos”, and the Russian military have been dealt an array of setbacks in the past few days. On Apr. 22, Global Post reported that a Russian military rocket crashed shortly after launch in the country’s northern Arkhangelsk region. Although no casualties or damage were reported, the loss of yet another Russian launch vehicle raises questions of competency, a potential issue highlighted by several other space-related stories that have emerged in the past two days. The rocket that was lost on Wednesday has been described as conducting a “test launch”. The failure was reported to Russian President Vladimir Putin. Around the same time that the rocket mishap took place, Sputnik News reported that Russia had opted to abandon plans to develop a super heavy-lift booster, likely a version of the nation’s new Angara launch vehicle. 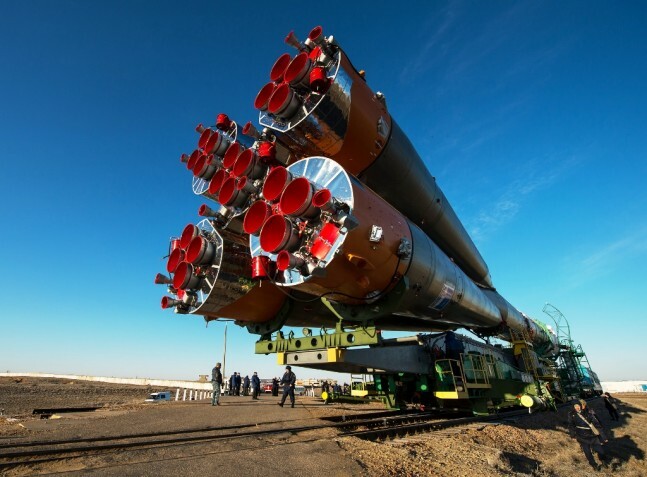 Angara rockets, developed by Khrunichev State Research and Production Space Center, launch from the Plesetsk Cosmodrome and, theoretically, will use the new Vostochny Space Center in the future. The rockets in the Angara family have only seen two flights so far, but the intention is to eventually phase out the Proton rocket in favor of these. The report did note that Russia was planning to go ahead and modify a heavy version of the Angara-A5 rocket to handle super-heavy loads, with a first launch slated for 2021. Just 24 hours after that news broke, Space Daily reported how Roscosmos would postpone the first crewed flight to take place out of Vostochny Space Center, from 2018 to 2020. The rationale behind this postponement was to avoid having the new site be filled with equipment needed for the processing and launch of systems that Russia is attempting to phase out. The first carrier rocket launch is still expected in 2015. The new spaceport is expected to reduce the country’s need for Baikonur Cosmodrome, which is in Kazakhstan and leased to Russia until 2050. All manned Russian launches occur at Baikonur currently. Plesetsk Cosmodrome is in Mirny, Russia, but its high latitude makes it most useful for only certain types of launches, such as those that place a payload in a Molniya orbit. Additionally, on the same day as the Space Daily report, Sputnik News noted how the Russian Space Program could experience budget cuts of more than 800 billion rubles ($15 billion) to 2 trillion rubles ($37 billion) during the next decade. In an odd historical coincidence, some of these various events occurred on the same day, Apr. 23, as the 1967 Soyuz-1 accident, which saw the death of Soviet cosmonaut Vladimir Komarov, as well as a Proton rocket launch failure in 1968. The “blue” words are links to the articles that we pulled information from. You failed to mention the budget in the article was for 10 years. From 2016-2025. So essentially Mitch is right, for one year of the budget move the decimal point one to the left. 3.7billion.